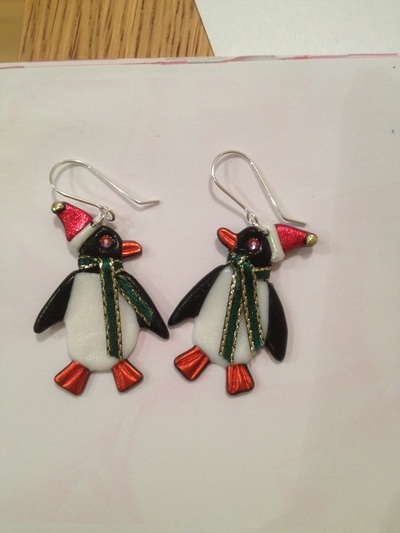 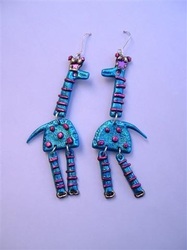 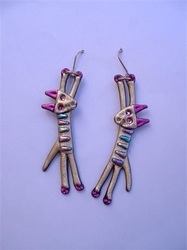 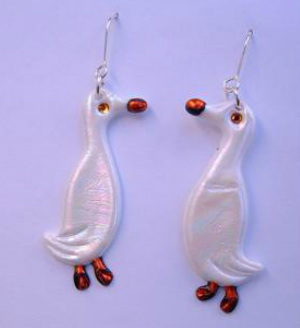 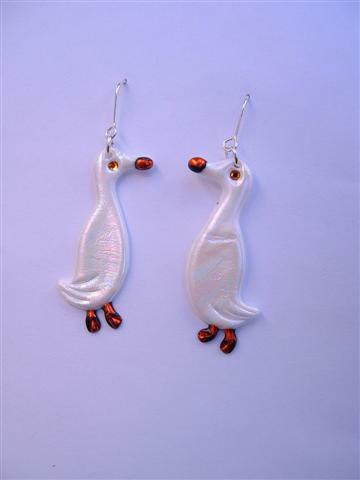 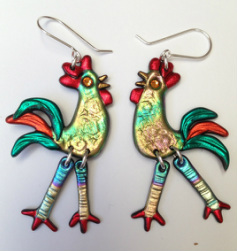 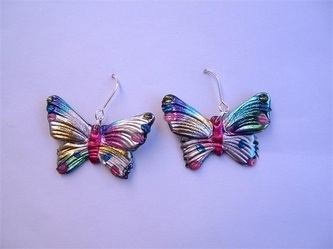 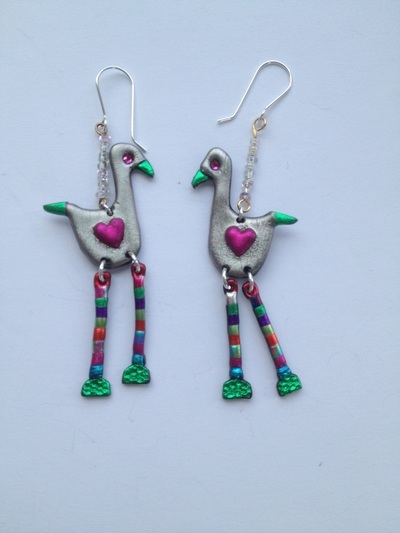 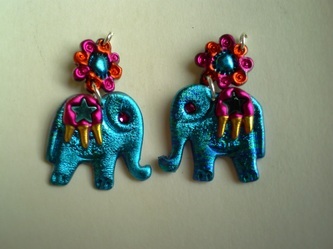 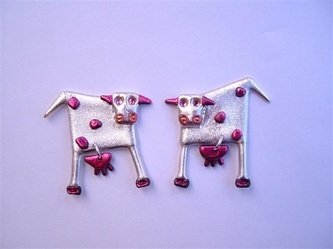 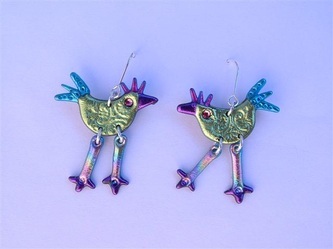 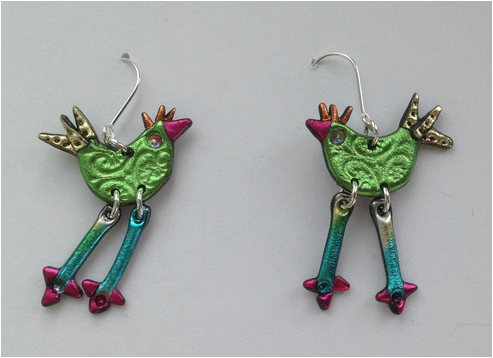 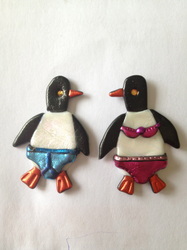 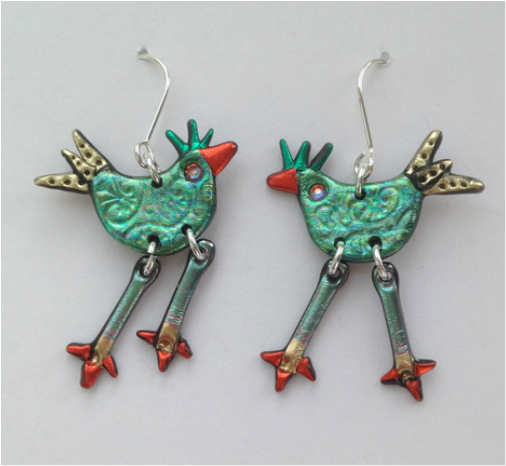 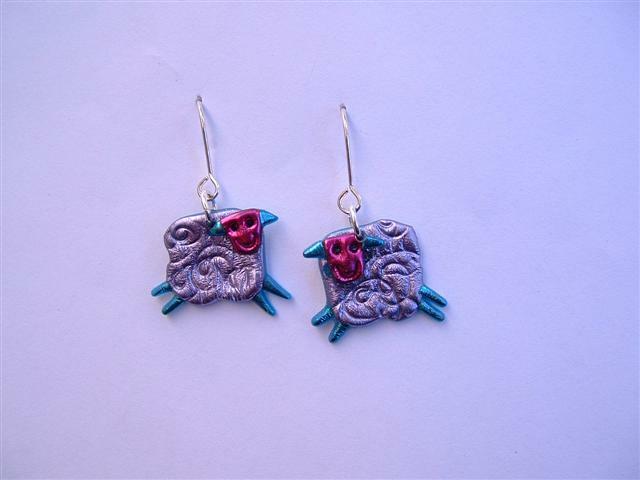 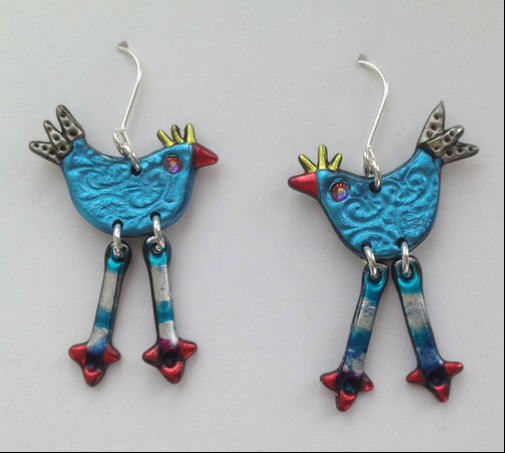 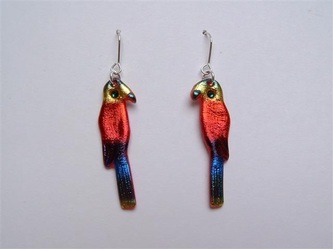 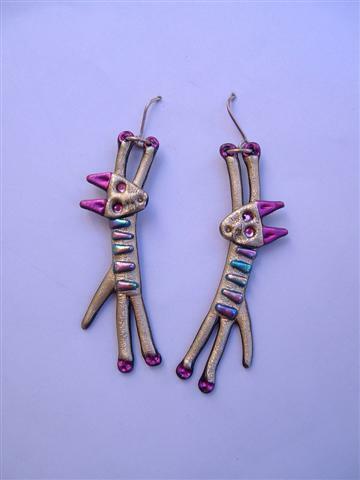 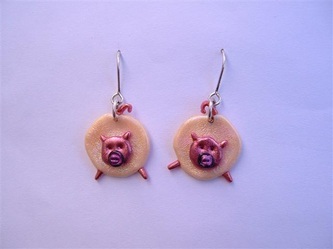 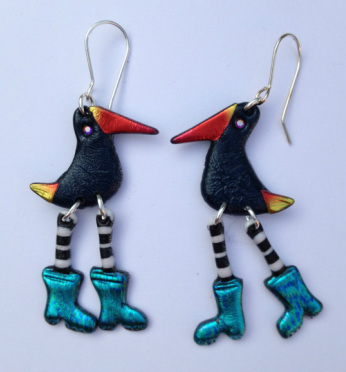 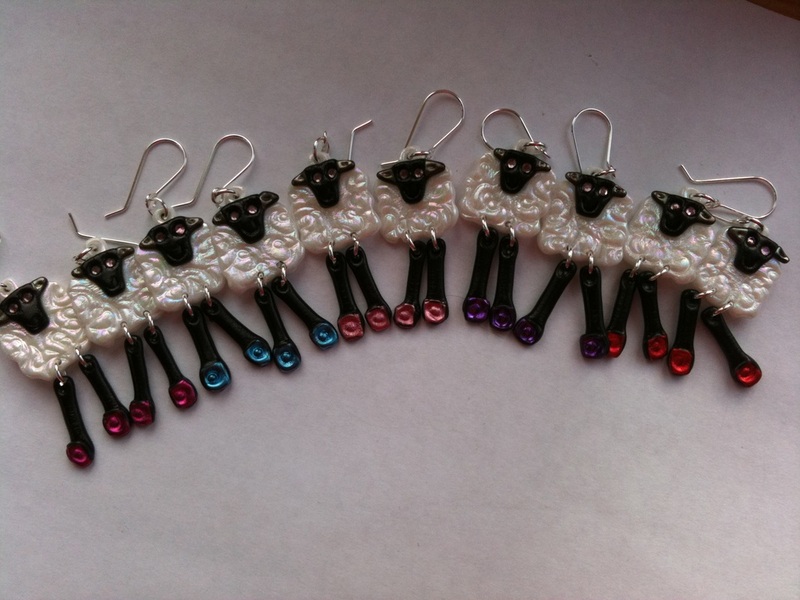 ANIMALS - Josephine Gordon fabulously fun funky hand made jewellery to make you happy. 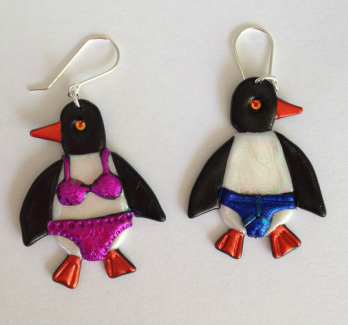 strutt your stuff with these little fellas! little penguins dance on the ice..framed in a crystal beaded doorway with little ice crystals dangling underneath. very long but very light to wear. Articulated body and legs with spots and stripes.